Painted mural on the side of an abandoned church. A recycled mini-golf course sits in an open lot. Many residents of Detroit have taken it upon themselves to create works such as this to beautify the city. The course is largely made out of old pipes, toilets, city signs, and other items found amidst abandoned areas of the city. A view of the Michigan Central Station through an old tire placed as an obstacle on the recycled mini golf course. Built in 1912 the Michigan Central Station was a landmark for the rising success of Detroit. While at the time it was the tallest rail station in the world, Michigan Central Station is now an abandoned landmark illustrating Detroit's downfall. Dmytro Szylak poses infront of the massive urban art piece he has been working on since 1992, Hamtramck Disneyland. Dmytro, a ukrainian immigrant began working on the piece after retiring from General Motors after 32 years. 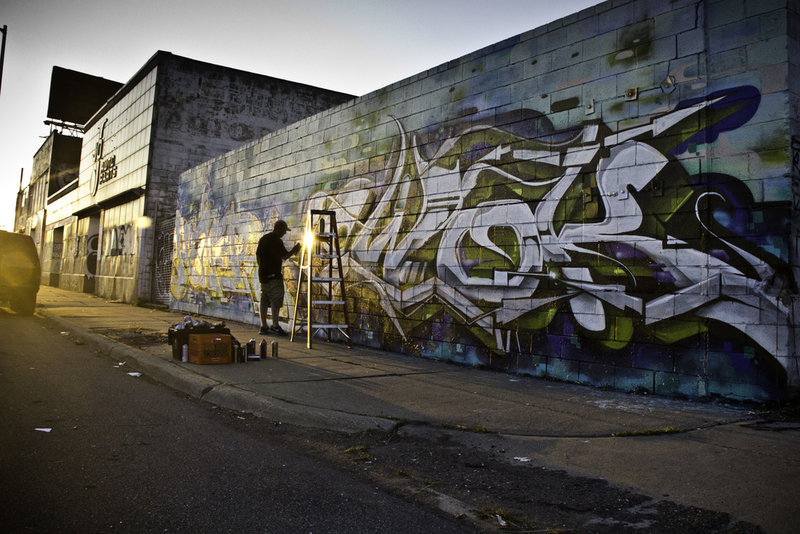 He began working on the piece for the simple sake of having a hobby but also to give back to the city of Detroit. 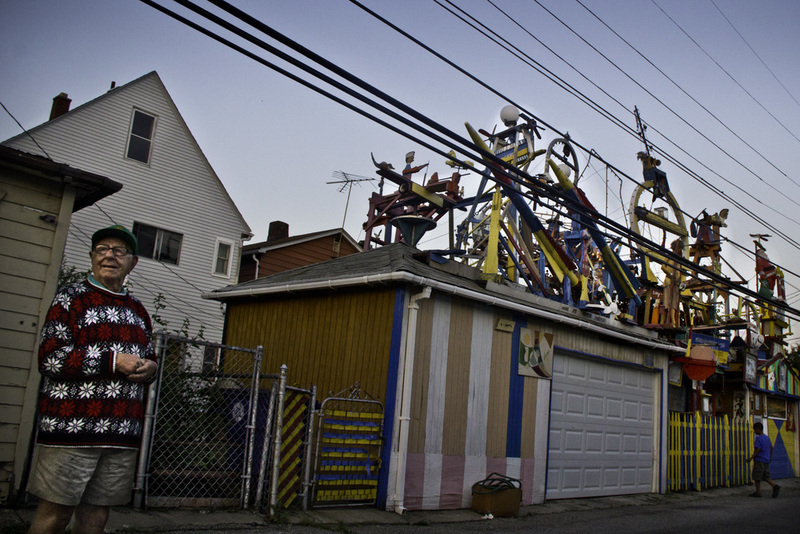 Dmytro Szylak.Hamtramck Disneyland. Detroit, MI. The "Obstruction of Justice" (OJ) House of the Heidelberg Project after it was partially burned down from a May 2013 fire. The house was set ablaze the following November, this time it was completely burned to the ground.